Digital disruption and prevailing economic conditions point to increased activity, Gideon Spanier writes. 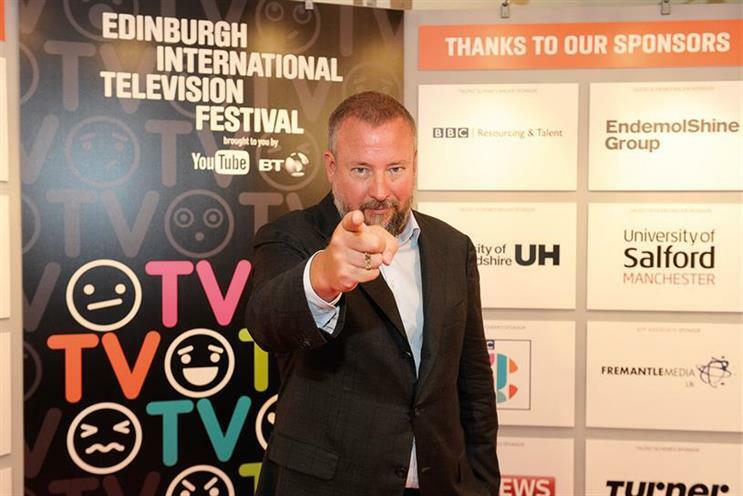 Shane Smith, the hellraising chief executive of Vice Media, was always going to cause mischief at the Edinburgh TV Festival and he certainly made a stir with his prediction of an M&A media "bloodbath" in the next year. as a suitor for Vice after building an 18% stake. Smith said: "What you’re going to see is a mergers and acquisitions frenzy where the last two or three big boys buy the last scale plays to say: ‘We’ve got digital, we’ve got mobile, so we’re smart.’ And the digital guys are going to go: ‘Thank God, we’ve finally got money.’"
The Vice co-founder touched a nerve. His use of the emotive word "bloodbath" points to the fact that there must be losers as well as winners, and M&A is a hot topic. Arguably the biggest driver of takeover activity is digital disruption, which is accelerating and threatens "legacy" companies in every sector. "Predators with scale and scope will exchange the oxygen of cash and diversification in return for the digital, mobile and innovative skills of the prey," Lorna Tilbian, executive director and head of media at Numis Securities, says. Scale, particularly in digital, is key when Google, Facebook and other tech goliaths keep growing. "Smith is right that scale matters," Ian Maude, executive director at Be Heard, a holding group that has bought two small agencies in the past year, says. "Digital media and marketing are increasingly at the centre of everything and, if you don’t have the right capabilities, you’ve got to build them or buy your way in." Economic conditions are another driver. "A low-growth environment with low interest rates for longer means established players must acquire growth via cost savings and synergies from takeovers," Tilbian explains. Global M&A activity fell by 26% in the first half of 2016, compared with a year earlier, according to MergerMarket, which cited factors including uncertainty before the Brexit vote and the US election. The Brexit result may be a catalyst for change because it has led to a 10% devaluation in sterling. Acquisitions have suddenly become cheaper for foreign predators such as News Corp, which is buying talkSPORT owner Wireless Group. Maude expects more M&A. "Whether it’s a bloodbath or a carnival depends on your point of view,"
"An M&A boom always comes towards the top of the cycle when corporate coffers are full after years of cash generation. This time round, there are two further imperatives: the low-growth, global economic environment and digital disruption." "Expect deals of all sizes, as the establishment and their technology-based rivals bid to eliminate future existential threats. No-one wants to make the mistake that Blockbuster did in 2000, when it turned down the chance to buy Netflix for $50m." "This isn’t a new debate. Companies large and small want to diversify their operations and move into new channels through acquisition – something that has been happening for years. Larger deals attract more noise, but it is happening at all levels." "M&A will increase in the search for data-driven competitive advantage, but not necessarily with rivers of blood. New avenues are constantly opening up for reaching digital audiences and traditional media businesses are having to reinvent themselves"